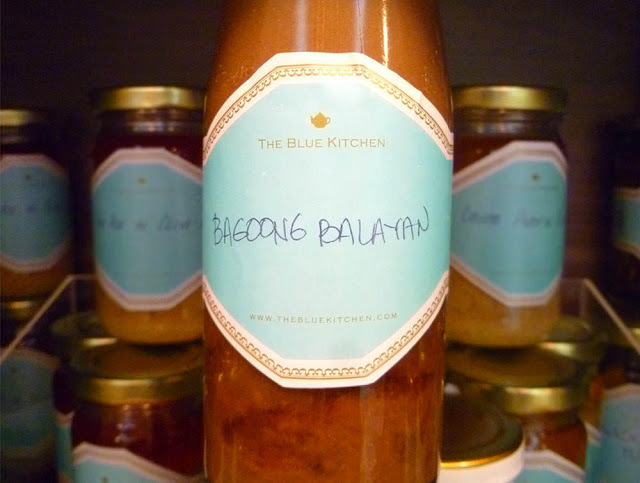 Bagoong - fermented anchovy or shrimp paste, particularly popular in the dish kare-kare. 1 Heat the oil and stir-fry the garlic until golden brown, then add the onion and stir fry until translucent. Add the tomato and cook until soft. Add the fish paste and sugar, and stir to dissolve. 2 Add the vinegar and simmer for10 to 15 minutes. Remove from the heat and serve in small dipping bowls with Stuffed Eggplants and other savory dishes. Keeps in the refrigerator for a month.